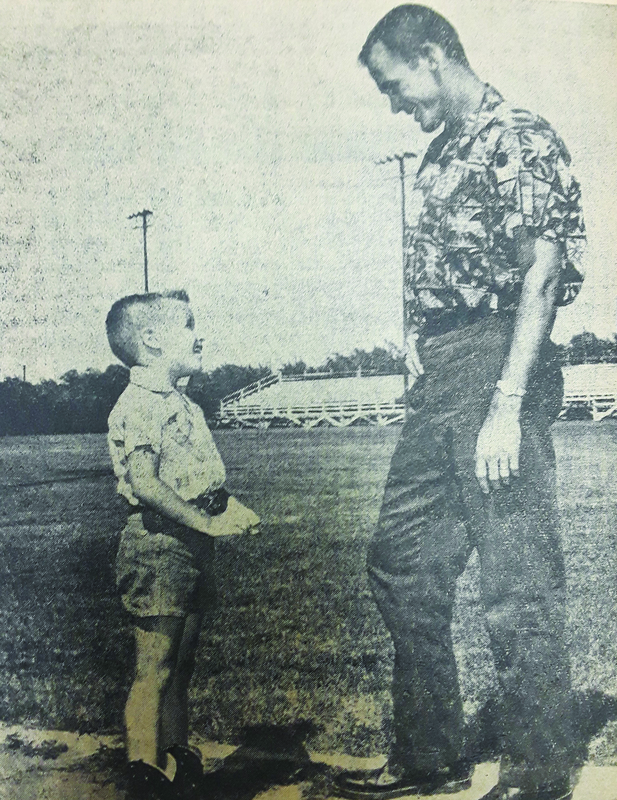 Olympic Champion Bobby Morrow, while training for the Texas Meet of Champions in Houston, takes time out for a chat with young Joe Teddy Watson, son of J.T. Watson, Bobby’s High School coach while at San Benito. Morrow competed with the ACC track squad in Houston. Morrow won a gold medal in 1956 and held the title for fastest man in the world for several years.